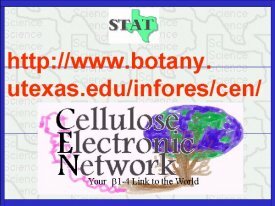 This slide provides the URL address for the Cellulose Electronic Network which was founded by Dr. Brown. This is an international electronic forum for all who are interested in cellulose science and industry. An automatic sign-up feature provides a method for auto subscription. Also, visit the CEN library and other useful links.